Siam Relax Thai Massage offers you many traditional Thai massages and treatments that promote healthier, happier and re-energized life. A traditional Thai massage uses a combination of acupressure, various Indian Ayurvedic principles, and many yoga postures to leave you feeling absolutely refreshed. There are no oils and lotions used in the practice of Thai massage and the body is either compressed, pulled, stretched and rocked. Located here are 14 space that are dedicated to the harmony of body and soul, Siam Relax Thai Massage offers you a variety of massages and practices to choose from. The staff is very polite and friendly but doesn’t speak English. Abounding of places like Wat Pho Reclining Buddha, B T S Skytrain, Rajawongse Clothier, Grand Palace and Wat Phra Kaew, city name has great things to do that are totally worth your time. What's travelling like if you don't want to explore it like a local! Book local Bangkok tours and experiences. Oomph up your visit by adding the best hotels in Bangkok like Ibis Bangkok Riverside, Kokotel Bangkok Surawong, Holiday Inn Express Bangkok Sathorn and Marvin Suites. How popular is Siam Relax Thai Massage? People normally club together Soei Restaurant and Silom Night Market while planning their visit to Siam Relax Thai Massage. Bad Experience! Broken chair. Not so clean. Foot and shoulder massage only soft rubbing. I asked for stronger, she said I should ask for a man to massage me. I told her to stop, only wasting my time. My wife had a good massage. I will NOT go back! This is a wonderful place for traditional Thai massage! 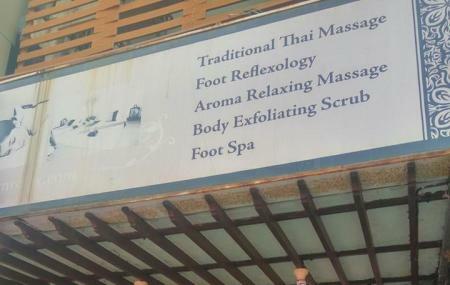 It's located in a great area of Bangkok, very central and easy to walk to from other attractions. As soon as we walked in, we were warmly greeted by the receptionists and masseuses. I couldn't help but notice how nice and quiet it is inside even though you're only steps away from the main road! I had a foot massage as well as a shoulder massage and let me tell you, this business definitely lives up to its name! My masseuse was a lovely lady named Flower, who was so kind that after my massage she even braided my hair for me! My back (and feet!) felt so light and limber afterward, all the knots and tension were gone. We were even provided a lovely cup of tea after our massages. Thank you so much, ladies! Good prices for massages. Some individual massage rooms have attached shower room (small space). Quiet environment, no noise from the streets/roads but sometimes customers forget to turn off / silence their mobile phones or talking among themselves during massage! Payments can be in cash or credit cards + 3%. Appointments can be made through calling in. Please speak simple English. For easy searching, the next shop is a Rolex Shop. Massage was really good. Got a masseur give a lot of pressure in the right areas. Price is very good, there is music it is peaceful and the place looks relaxing.